The Melbourne Cricket Ground (MCG) is rolling out a new high-density Wi-Fi network and IPTV digital offering in a bid to improve digital connectivity and fan engagement in the sporting ground. The new technology project, announced today, will see a secure and high-density Wi-Fi network rolled out in and around the stadium, giving attendees better access to interactive content and connectivity during games. The stadium is also investing in a new IPTV system, which will distribute high-definition digital content in real-time to 800 screens throughout the MCG. Other improvements include a new exterior LED lighting system consisting of 240 LED lamps, which will give teams and clubs the ability to personalise and theme the stadium for fans, as well as help provide improved external digital signage in Yarra Park. The MCG is also upgrading media and broadcasting facilities onsite. 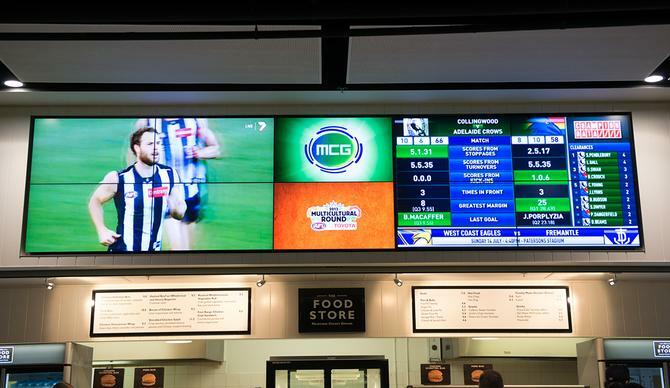 The technology enhancements are the next phase in a $45 million investment into the MCG, which has already seen two new high-definition scoreboards as well as high-definition television production facilities. The exterior lighting is due to go live by April, while the Wi-Fi and IPTV solutions are expected to be completed in time for the 2015 Boxing Day Test. “This will take the fan experience to another level with significant improvements to the MCG’s connectivity,” Melbourne Cricket Club (MCC) CEO, Stephen Gough, said in a statement, adding that the MCG will soon be one of the most connected stadiums in the country. MCC has appointed IBM as its head technical contractor, responsible for designing, evaluating technology and implementation. Cockram Construction will oversee the rollout as head contractor, and Cisco is also a partner in the project. The MCC said it assessed stadiums globally to find a technology approach that put the fan’s experience first, highlighting Dallas Stadium, Metlife Stadium, Yankee Stadium and Wembley as examples. “We have witnessed new technologies in action elsewhere and we want to ensure the MCG remains one of the great stadiums in the world,” Gough said. The desire to bring more digital capabilities into the physical game experience was the subject of a panel on digital’s growing role in sporting experiences, held at the SCG earlier this week by the Trans-Tasman Business Circle. During that panel, Cricket Australia’s executive general manager of media, communications and marketing, Ben Amarfio, pointed to the importance of building an at-match experience that equals the TV experience using digital capabilities. Fellow panellist, and Commonwealth Bank’s general manager of brand, sponsorship and marketing services, Stuart Tucker, argued the industry wasn’t doing enough to address the digital experience of the fan in the stadium. CommBank is a Cricket Australia sponsor. “We talk about the digital experience at home but we can’t forget about the fans in the ground,” he said.